We are stalwarts in manufacturing, supplying and exporting a wide assortment of Automatic Universal Tester Machines. These machines are manufactured using the high-grade raw material in tandem with international quality standards and guidelines. Owing to features such as automatic data capture facility, high tensile strengthandlow maintenance, these machines are widely demanded in the market. 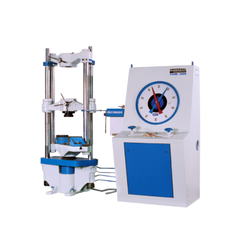 Our clients can avail these Universal Tester Machines from us in varied sizes and other specifications as per their requirement. Looking for Universal Tester Machines ?